Garden Cottage in Bishopton, near Glasgow, with private parking. Loch Lomond, and many other famous Scottish beauty spots. Bedroom 1 (downstairs) kingsize bed, has a dressing room, sitting area and a separate en-suite shower room. Bedroom two (upstairs) has twin beds, there is a small bathroom en-suite. 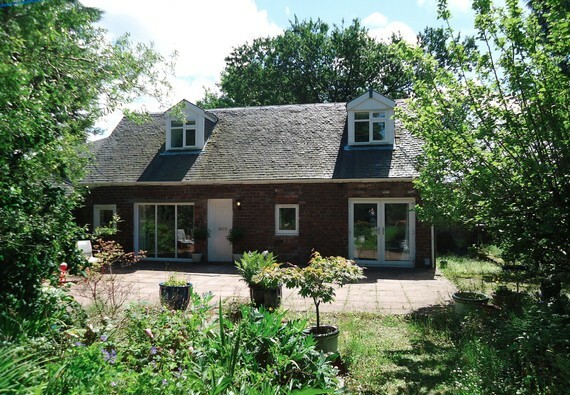 This cottage is ideal for young families and for over 60s. Cars can be parked at the door. Because of the proximity of local shops (small general store, Post Office, bank and fruit shop - all a couple of minutes' walk) and on-line deliveries (Tesco, Sainsburys) there's truly no need of a car. The train service is excellent and the Glasgow train takes you into the centre, with no parking problems. Interior layout Open plan living/dining/kitchen. No reviews yet for Garden Cottage Bishopton.